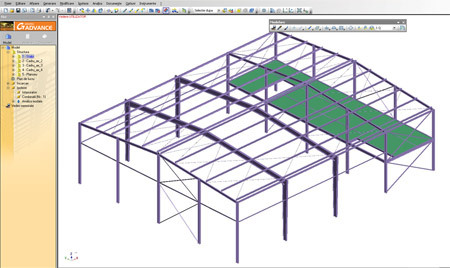 How can I quickly create supports at the building's ground level? 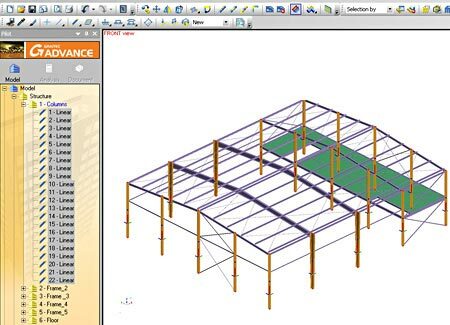 Once the input of structural elements is done, Advance Design provides the option to automatically generate supports at the building's ground level. 1. The columns that are placed at the structure's ground level must be grouped under the same system. In our example, the ground level columns are placed in the system called "1 - Columns". 2. In the property window of this system select the "Level" option, with the bottom limit defined as 0 meters. 3. 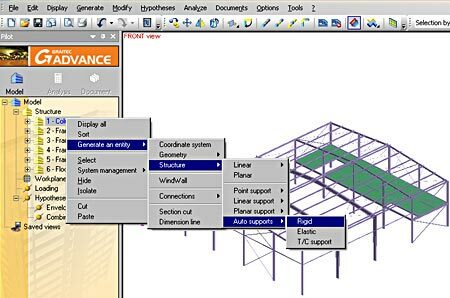 To automatically create the supports on all columns at the ground level, right click the "1 - Columns" system in the Pilot and select Generate an entity > Structure > Auto supports > Rigid from the context menu.